Recently the mega churches have been in the news with many things going wrong in that business. They also are churches which often make use of the modern media and use a lot of audio and visual material. The film industry has seen a renewal of interest in religious movies and therefore is releasing again some films with Biblical stories. Ted Baehr, founder and publisher of Movieguide, as well as chairman of the Christian Film & Television Commission and Tom Snyder, Movieguide’s editor, wrote the underneath article which originally appeared on Movieguide.org. 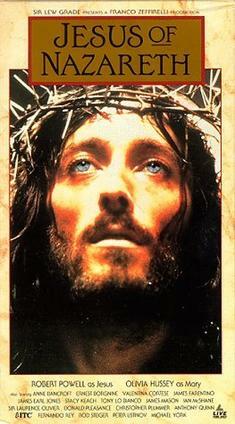 Twenty years ago, when Jesus’ name was used in a movie, it was usually used as a curse word. Last year, 67 percent of the movies released had at least some pro-Christian, pro-biblical content. This year, an incredible number of the major movies being released have positive, overtly biblical and often evangelical content. As might be expected, many of these movies have attracted criticism. Sadly, some of the most spiteful, angry and mean-spirited criticism has come from Christians. Movieguide was built on the premise of exposing the fruitless works of darkness and commending the good. As a result of doing this consistently for many years, we have seen a great growth of the good, the true and the beautiful, and a decrease in the darkness in the movies released. Much of that could be attributed to our detailed economic analysis of the box office, combined with the fact that we see the gospel for what it is: good news. So we try to present our analysis and criticism in light of the fruit of the Spirit (love, joy, peace, patience, kindness, goodness, faith, gentleness and self-control), which dictates that we love the people who created the works we’re examining enough to try to be constructive. There are exceptions, but the exceptions are not the rule. Recently, there’s been a tremendous amount of criticism bashing Darren Aronofsky and the producers of Noah, criticism of Roma Downey and Mark Burnett for Son of God, and even criticism of the producers of Heaven Is for Real. Recently, I had a chance to talk to one of the top people at Paramount Pictures, whom I’ve known for years, who’s a co-producer of Noah. He had told me about Noah years ago when we met for lunch. He wanted Noah to be very evangelistic, which it is not, and he wanted to tell an Old Testament story in light of the New Testament revelation of God’s grace. I asked him about Darren Aronofsky, and he said Aronofsky was wrestling with forgiveness and mercy because of a crisis in his family. The producer, one of the brightest, most conservative Christians in Hollywood, noted that the same thing had happened to him. We discussed the fact that Mel Gibson had been bashed so badly for the trumped-up charge of anti-Semitism that he went off the deep end. There is no doubt that my friend and Aronofsky needed guidance and perhaps even faith formation, but personal, ill-conceived attacks don’t make it easier for him, as a conservative evangelical Christian, to do more movies that touch upon Christian and biblical themes. With regard to Downey and Burnett, the situation seems even more mean-spirited. One attack article claimed The Passion of the Christ was more biblical, when, in fact, The Passion was based on visions a Catholic nun had over 100 years ago. Other articles commended the Jesus film, which, for the record, is only 66 percent of the book of Luke and is produced by a good friend of mine who is Jewish and extremely wary of the Christian community, as well as a director who’s known for some very salacious movies. In fact, the star of the Jesus film told me years later he was an atheist. Also, Jesus of Nazareth was funded by a Muslim and directed by a bisexual who chased one of the male stars around his villa. Thus, of all the 130 Jesus films that have come out, Burnett and Downey’s Son of God is one of the few made by people who constantly say they love Jesus. That doesn’t mean they got everything right. In fact, I sent them a theological analysis months before the movie was locked in editing. In this regard, however, has any sermon ever gotten everything right? If so, I have yet to hear such a sermon, though I have walked out several times on sermons that have gotten most of their theology wrong. Many of the mean-spirited articles about Noah have been written by people who admit to having never seen the movie. Others have been written by people who don’t seem to understand some of the Bible’s basic theological concepts or realize the difference between a Christian ontology (a real world with real sin and real pain that needs a real Savior, Jesus Christ) and an anti-Christian, nominalistic ontology (a nonmaterial, great-thought maya world where all is an illusion and there is no need for a savior, such as The Last Temptation of Christ). Movieguide has been critical of Noah, but also fair. We’d love to see the theology of each movie improved and would love to see the theology of most of these articles improved. One theologian complained to us that, unlike depicted in Heaven Is for Real, no one has gone to heaven and come back, although I pointed out to him that Paul said he did just that in 2 Corinthians 12:2. Was Paul lying? Where do we get such strange eisegetical views? Thank God that iron does sharpen iron. But even so, what enabled a small group of Christians to overthrow the most debauched empire in history, Rome? As Professor Alvin J. Schmidt points out in the book How Christianity Changed the World, one major reason was that people knew the Christians by their love and wanted to convert. Did the people who criticized Mel Gibson love him? Or those who criticize any of the Christians working behind the scenes in Hollywood? Most biblical movies and most movies dealing with heaven contain things that you won’t find in the pages of the Bible. To make a really dramatic movie that millions of people will go see requires at least some dramatic artistry. Furthermore, it’s really easy to poke holes in almost any movie, whatever the subject matter. As a Christian myself there are certain things in the Bible where creative liberties have no place. That may not allow me to be the most objective critic of some Bible-based movies but it is a belief that is inseparable from who I am. On the other hand some stories from Scripture leave themselves open to interpretation while others may stir our imaginations by omitting many of the details. Such is the case with the story of Noah. The story of Noah and his ark takes up only a small portion of Scripture so there are definitely areas where our creative imaginations (in this case Aronofsky’s) may kick in. Yet you always look for respect of the spirit of the story and at least some type of adherence to the material. The disclaimer is being added at a suggestion coming from a panel on the movie NOAH at the recent National Religious Broadcasters (NRB) convention in Nashville last week. The panel, led by President and CEO of the NRB, Dr. Jerry Johnson, discussed NOAH’s positive qualities and its departures from the Bible. Tubal-Cain (Ray Winstone) begins as Noah’s nemesis from a scene in the hero’s childhood and finishes as his enemy in a violent hand to hand combat scene on the ark. In between, Tubal-Cain tries to turn Noah’s son against him, launches a military attack on Noah’s ark project during construction, and finally manages to hack his way into the ark as the flood surges. The “Watchers” assist Noah. They are Aronofsky’s fanciful development of the biblical Nephilim concept. We are told angelic creatures helped early man with technology; humans abused it for evil; God cursed the angels for this and turned them into rock giants; these fallen angels help Noah defend and build the ark; when they die in the battle against the bad guys, the mysterious beings go up to heaven. Of course, in Christian theology, fallen angels keep falling, down to the other place. While showing images of war, violence, theft, and sexual sin, the main evil of humankind according to Noah is the abuse of the environment. Man has been guilty of a scorched earth policy brought about primitive industrialization, resulting in apocalyptic scenery reminiscent of the Mad Max trilogy. Son of God marks the first time in more than 15 years since a major Hollywood studio has put major money into a movie aimed at depicting the life of a biblical character, since 1997’s The Prince of Egypt about Moses. 20th Century Fox is releasing Son of God, a movie version of the Gospel portion of The Bible that aired on The History Channel in Spring 2013. In December, they’re scheduled to release Exodus starring Christian Bale as Moses. Sony Pictures has Heaven is for real scheduled for release in April. It’s based on the popular book telling the story of a boy who died, went to heaven, and came back to tell about it. Warner Bros. has its own Moses movie, Gods and kings, in the works, but no release date has been set. They had hoped to get Steven Spielberg to direct, but he turned them down. And, there is talk at MGM about a remake of one of the greatest Christian epics ever made, Ben-Hur. The 22nd Annual Movieguide® Faith & Values Awards Gala and Report to the Entertainment Industry honored the best, most family-friendly, and most inspiring movies and television programs of 2013 at its annual awards show, held last month in the Grand Ballroom of the Universal Hilton Hotel. Tolerating self-destructive or socially destructive behavior in our children is not a sign of love, but hate, as well as parental neglect. If a child has a propensity to beat themselves or beat other children, the parents are required by love to intervene and help the child get over such abhorrent, intolerable behavior. To do anything less is a sign of child abuse! Our narcissistic society is on the brink of stewing in the vile juice of its own self-destructive behavior. Consequently, we seem to have forgotten what love entails. God calls us all to love our neighbor as ourselves, both Jew and Gentile. That divine call entails helping ourselves and our neighbors get over intolerable destructive behavior, such as violence against the innocent, alcoholic stupors and perverting our children’s innocent hearts and minds by frankly intervening and correcting such behavior in a manner that brings about significant change or repentance (see Lev. 19:17,18). Having devoted valuable time and bandwidth to God Is Not Dead, it is, I suppose, behoovenly for me to say just a bit about Noah. These days, of course, I seldom get to see movies that aren’t streaming on Netflix, so I’m no more likely to get out ot see Noah than God Is Not Dead, nevertheless, in both cases I’m fascianted by the zeitgeist surrounding them. Tony offers a lot of plot details in his review, but does not reveal the outcome of what is the actual spiritual core of the film — Noah’s crisis of faith in the aftermath of the flood. This is the thematic hook on which the movie rises or falls, and I suspect that the very idea that Noah may experience any kind of a crisis is at the heart of evangelical objections to the movie. The first two so-called Bible films of the year have very different backgrounds and intents. Son of God is produced by Mark Burnett and Roma Downey, who also made The History Channel’s Bible miniseries. The pair are capitalizing on the commercial success of that miniseries by releasing the mix of re-purposed and new footage from The Bible as a film. And they’re also Christians, making a Christian movie. On the other hand, Noah is not an explicitly Christian film, although it has its basis in a well-known biblical story, to which it remains rather faithful. Aronofsky, it should be noted, did not make Noah to glorify God, or to promote religious belief. He was understandably opposed to his studio’s efforts to repackage the film in the editing booth for a conservative Christian audience. By and large, the movie is fantasy. (And I firmly believe in the Flood account of Genesis!) But this no doubt plays like a “Lord of the Rings” or “Clash of the Titans” film. This is not an attempt to re-create the events as they actually were, a la “The Passion of the Christ”. If the Bible is merely a collection of stories, as is often portrayed, than “Noah” is par for the course. But the Bible is more than that; it’s the story of God and how He redeems people.If the character of God; His holiness, justice, purity, is not explained, then the story makes no sense.If the Fall of man, and the pervasive nature of personal sin is not explained, then the story makes no sense.If God’s redemption plan is not clearly spelled out, especially in the light of the rest of Scripture, then the story makes no sense. 2014 is supposed to be the year Tinsel Town reversed that trend and finally got religion. various Christian organizations, including consulting firms that can help Hollywood market its films to Christians and ministries whose thumbs-up or thumbs-down will influence large numbers of congregants. So far, they’ve been wary of “Noah,” not just because of long-standing skepticism toward Hollywood, but because of reports since “Noah” was still just a screenplay that the film strays from scripture in ways that may rankle the faithful. Will Paramount’s disclaimer placate the Christian power brokers and the viewers they claim to speak for? And if it doesn’t, can the film succeed without them? I like to think we humans developed the amygdala about the time we decided to climb down out of the trees and live in holes in the ground and the sides of mountains and cliffs we later came to call caves. I’m no anthropologists or biologist, or any other kind of “ologist,” so I have no clue when the human amygdala became standard equipment. So, I’m just winging it here.Still — smart people pay attention to the warnings from their amygdala. A great number of those who didn’t — aren’t here any more. And a disproportionate number of those who still don’t today, will not be with us much longer. the American people are, like that humming bow string I mentioned above, strung about as tight as they have ever been. It won’t take much for then to utter an oath, grab their semi-automatic rifle, all the ammo they can carry, and head for the swamps and woods and form up into organized resistance. Many groups of citizens have already “formed-up.” They are simply awaiting orders from headquarters. Since the mid-1980s Baehr’s Movieguide organization has been on a quest to completely transform the movie industry by revealing to Hollywood executives that positive-themed, faith and family-friendly films make significantly more money at the box office than their more salacious and often R-rated competitors.The quest has been hugely successful, as each successive Movieguide awards gala has enabled Baehr to present Hollywood’s power players with extensive studies proving America’s audiences would much rather watch faith than filth on the silver screen.And Hollywood, where money talks and box office receipts are king, has heard the message.